Breakfast at Wren House is informal and relaxed. A cereal and fruit buffet is laid out for you to help yourself which includes homemade muesli, cereals, seasonal fruit compotes, fresh fruit, fruit juice and creamy Greek yoghurt. For those who would like it, a full ‘English’ breakfast of crispy bacon, local Gloucester Old Spot sausages, on-the-vine tomatoes and organic eggs is also available. 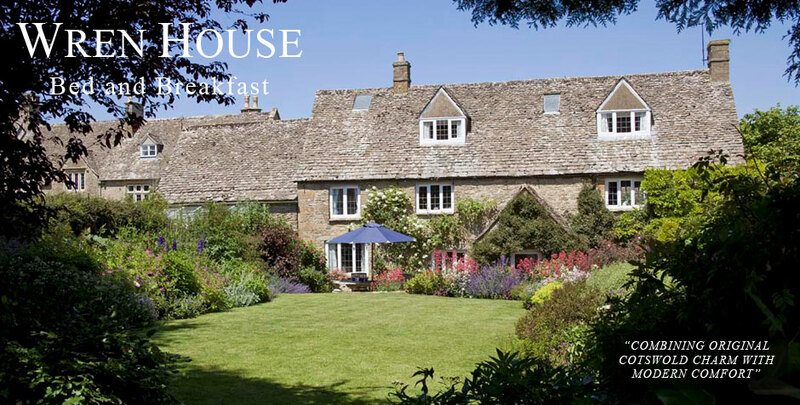 All breakfast ingredients are carefully selected for taste and quality and Wren House has recently achieved an Ethical Collection Food Award from Alastair Sawday. Where possible these are organic and/or local. Milk is delivered to the door in traditional glass milk bottles from the Jersey and Guernsey dairy herd at the end of the village only quarter of a mile away, where as it says on the bottles ‘every cow is known by name’ and animal husbandry is of the highest standard. Deep yellow yolk free-range organic eggs are provided from Daylesford Organic or Barrington and the Gloucester Old Spot sausages are made from pigs on Adam Henson’s (of BBC’s Countryfile) Cotswold farm nearby. When available, Daylesford organic sourdough and wholemeal bread is also served. The ground coffee is organic as are some of the teas and infusions. 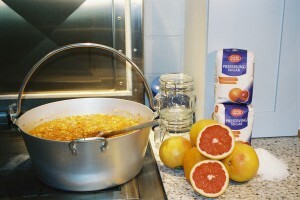 Wren House Seville Orange Marmalade – made with organic fruit and fair-trade sugar – and homemade Damson jam from the Donnington hedgerows are also popular. Jars of the marmalade can be purchased if stocks permit and is also available at Finns of Chelsea Green in Elystan Street, London. 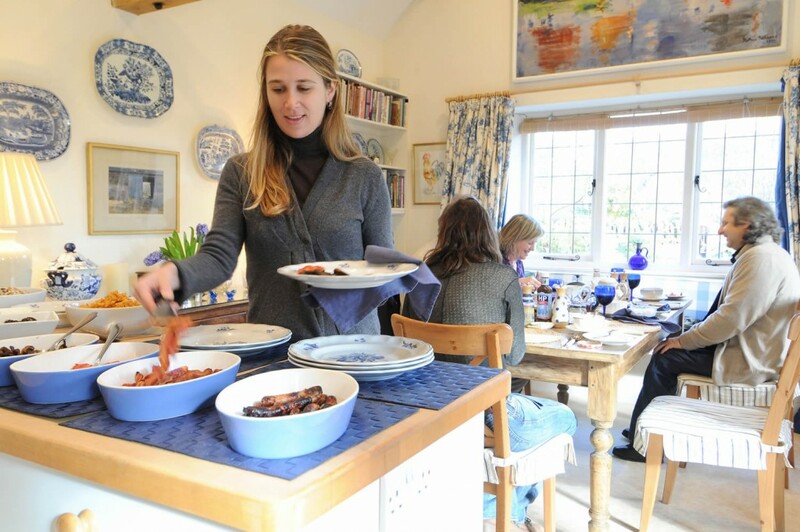 Breakfast is served in the large, vaulted kitchen at 8.30 a.m. – a little later at weekends. 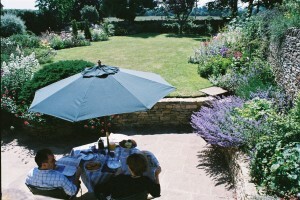 In summer, if the weather permits, it can be taken al fresco in one of the sitting areas in the garden. Guests are invited to sit at one table. This gives those who wish it the opportunity to chat with people from an entirely different sphere of life, to share information and, in particular, their Cotswold experiences. Exciting itineraries – and stimulating chat – is often the result! Kiloran can offer advice and there are books and a basket with local information and maps to look through and borrow.